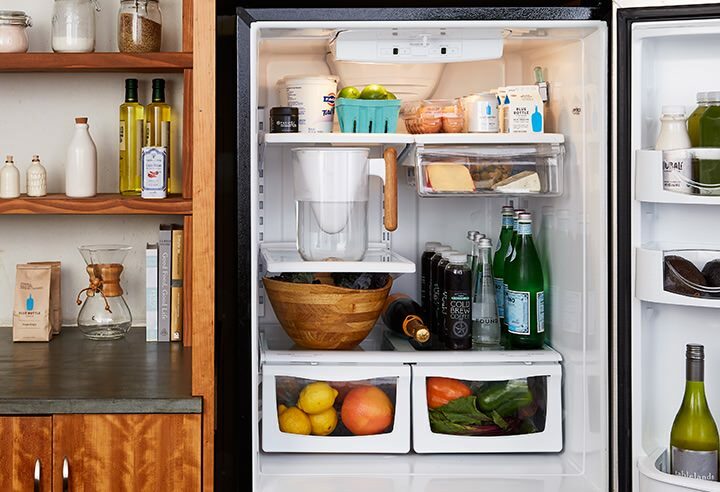 Designed to look stunning on your table and fit perfectly in your fridge. 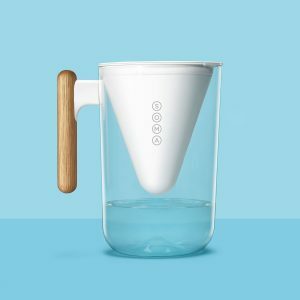 The pitcher holds 10-cups (2.4 litres) of crisp, refreshing filtered water and is made of shatterproof, BPA-free plastic and a bamboo handle. 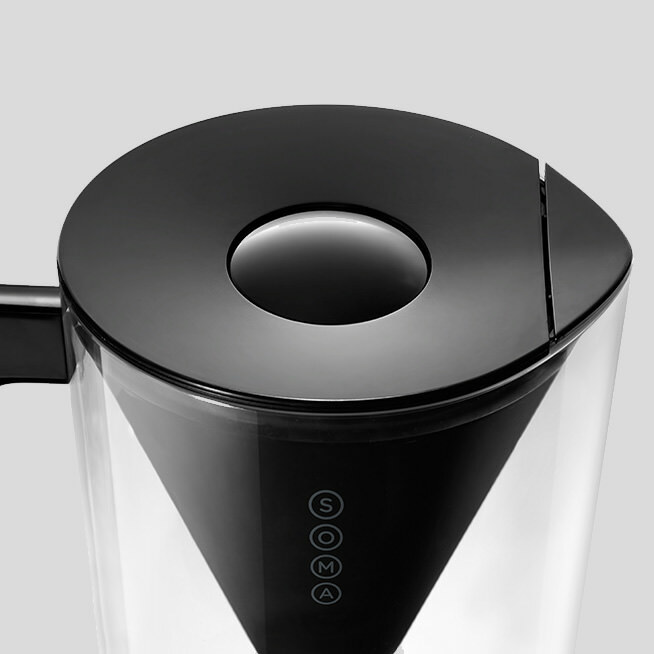 Last year, our limited edition Soma Black Carafe sold out in 24 hours. 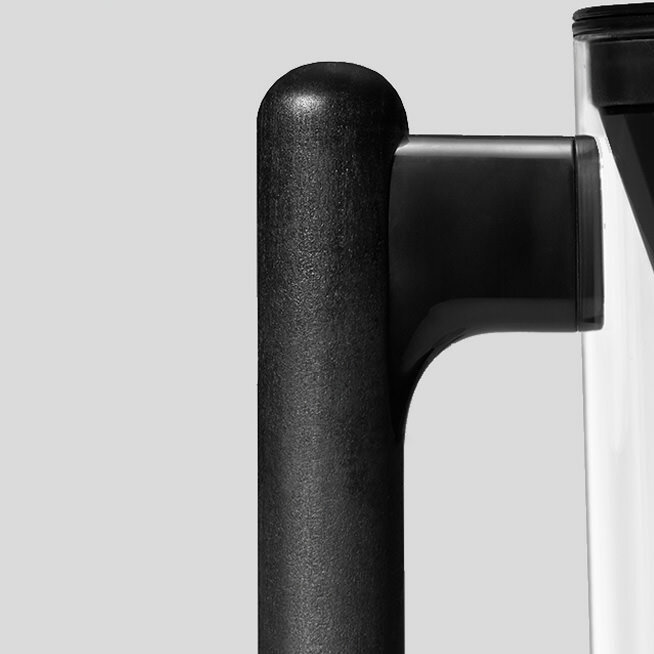 This year we’re bringing Black back with our Soma Pitcher. 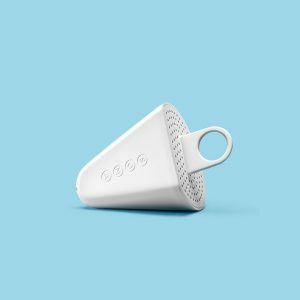 It’s stylish, goes with anything, and does a world of good. 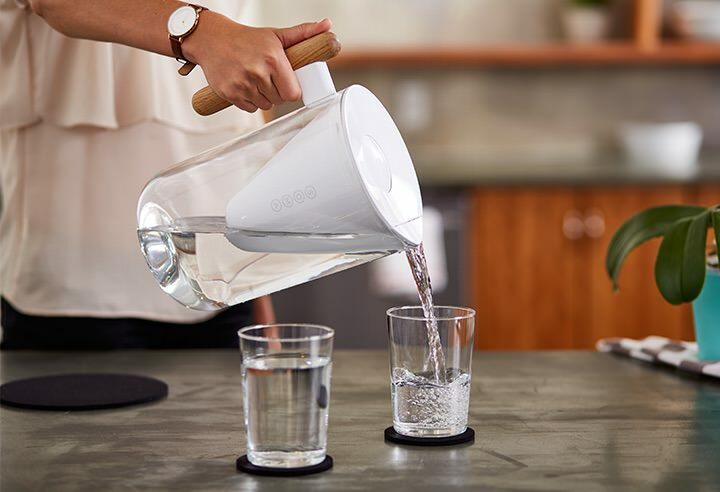 The Soma filter features coconut shell carbon and a plant-based casing so you can feel good about your water. Filters last 150 litres, which means you can fill it every day for two months. 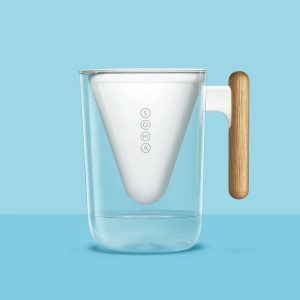 The shatter-proof, BPA-free plastic pitcher is perfect for thirsty families. 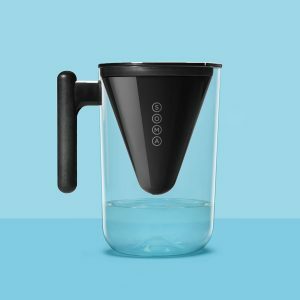 The Water Quality Association has tested and certified the Soma filter to NSF/ANSI Standard 42 requirements for the reduction of chlorine, taste and odor. 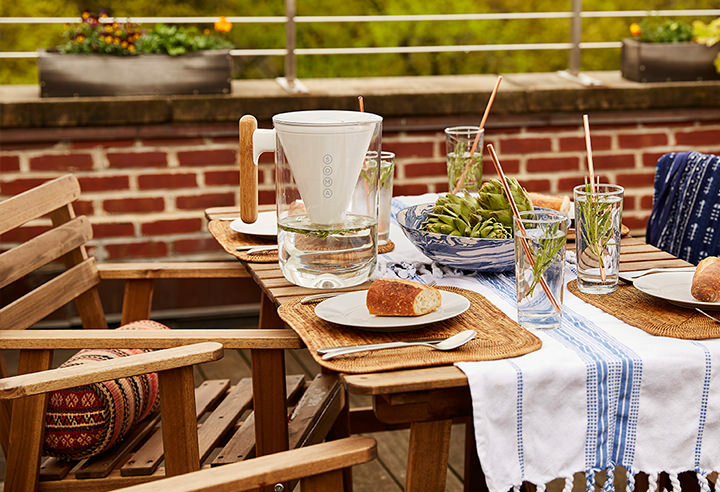 The easy to hold handle is made from sustainable wood. 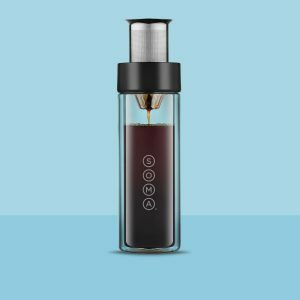 Lid door opens automatically for easy filling. 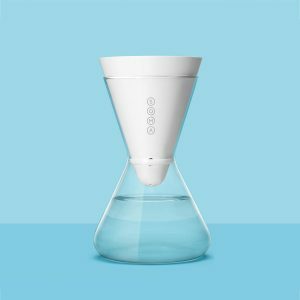 Every detail considered to elevate your water. Replace with fresh filter every two months. 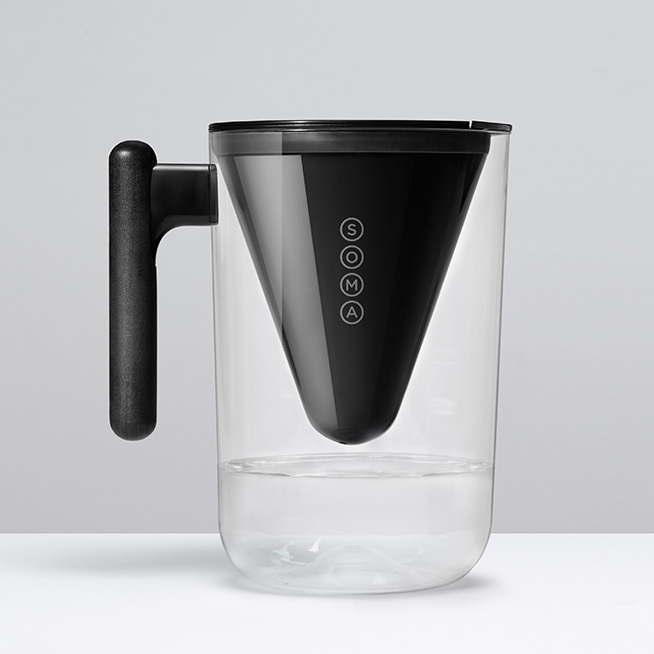 The Apple of the filtered-water market. 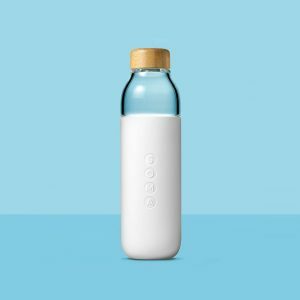 Imagine if every time you drank a glass of water, you were worried it might make you sick. That’s the situation for many people in many countries in the world. 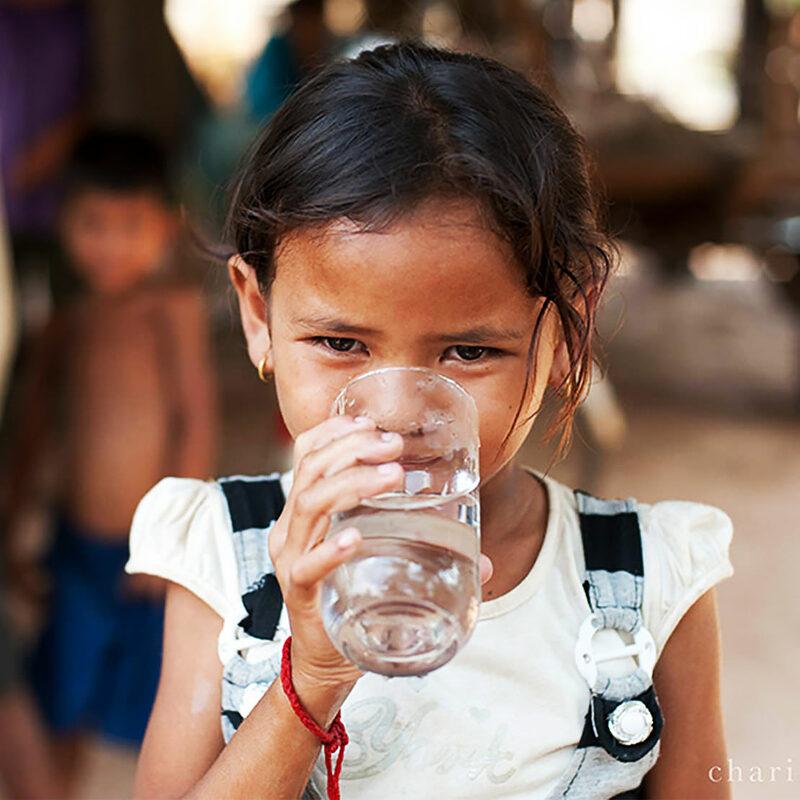 And that’s what we’re working to change with charity-water. 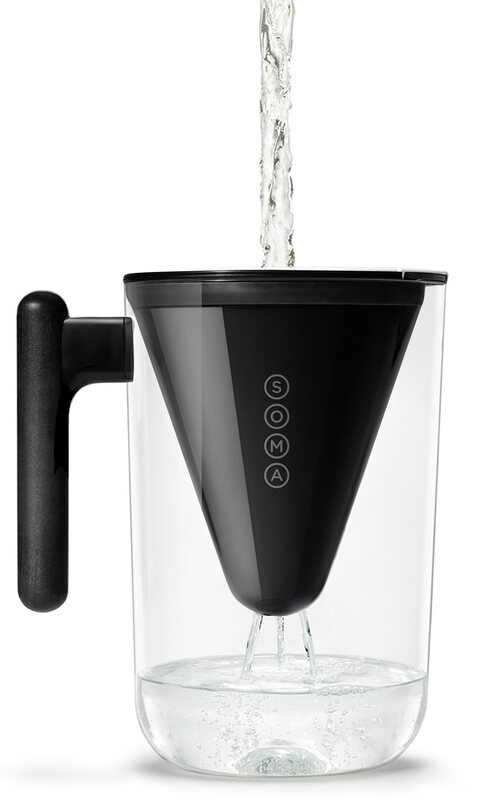 Every time you buy a Soma filter, Soma will donate to charity-water. This donation will go directly to building clean, safe wells in rural areas, that will lead to vast reduction in waterborne illnesses. © bluearth co pte ltd. All rights reserved.